Versatile and outgoing, compact crossovers help you find your ideal adventure with a focus on comfort and safety for up to five passengers. By combining the best elements of a truck-based SUV (its space, AWD and capabilities) and a car (its handling, fuel efficiency and agility), this class has become one of the most popular segments in America. While every manufacturer has a compact crossover model in the game, not all are created equal and certain models provide extra value with an increased focus on tech or style. 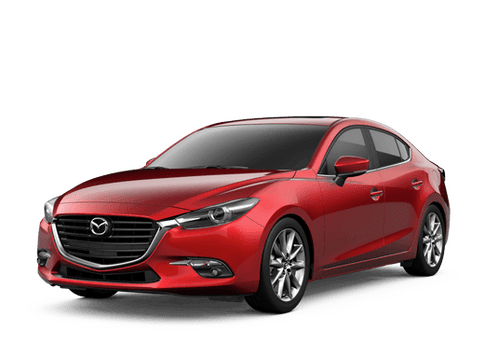 The 2018 Mazda CX-5 is one of those models. With its luxury car exterior styling, standard interior amenities and larger-than-life capability, the Mazda CX-5 is a compelling and evocative alternative to class veterans. Today, we’re comparing the 2018 Mazda CX-5 to Nissan’s compact crossover, the Rogue. Both vehicles aim to provide comfort, convenience and a can-do attitude. Let’s see which one is more successful. Shop our entire new Mazda CX-5 inventory now! 2,000 lbs. Towing capacity when equipped 1,100 lbs. Test-Drive the Versatile and Fashionable Mazda CX-5 in Barre, Berlin, Montpelier and Beyond! Though both the 2018 Mazda CX-5 and 2018 Nissan Rogue attempt to accomplish the same ends, they take a much different approach. The design of the two models shows this off clearly. 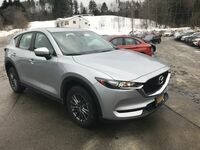 Style, although a subjective trait, sees the 2018 Mazda CX-5 echoing the flowing curves, oversized hungry grille and aggressive headlamps of a sporty luxury SUV. On the other hand, the 2018 Nissan Rogue employs a chunkier and more compartmentalized design reminiscent of a truck-based SUV. Look closer at the outside and you’ll see a distinctively-up-market approach to Mazda’s overall design for the Mazda CX-5. For instance, the 2018 Mazda CX-5 gives you LED headlights and alloy wheels in its standard trim. Other manufacturers like Nissan reserve these features for expensive packages or higher trim levels. The divergence continues inside, which sees the 2018 Mazda CX-5 provide an alluring sprawling dashboard with a standard 7-inch infotainment screen that luxuriously rises above its surroundings. This is as much function as it is form, however, as it places the display in your sightline while driving, making radio adjustments less-distraction. Nissan’s in-dash unit without an external controller suffers in this regard. Finally, you’ll get more done than ever before with the 2018 Mazda CX-5’s 2,000-lb. 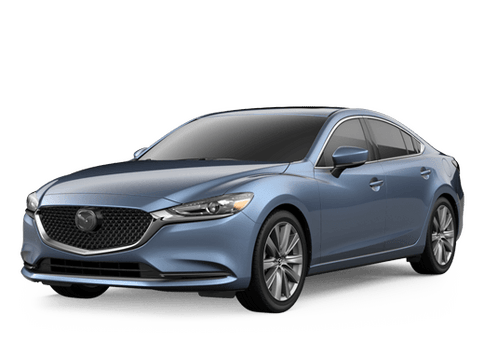 towing capability that comes courtesy of its 187-horsepower SKYACTIV®-G engine. The deal is sealed by a lower MSRP and higher NHTSA frontal-end crash-test rating which sees the Mazda CX-5 prove itself to be both the less-costly and the safer crossover option. For more information on the 2018 Mazda CX-5 or to schedule a test-drive, contact us today!